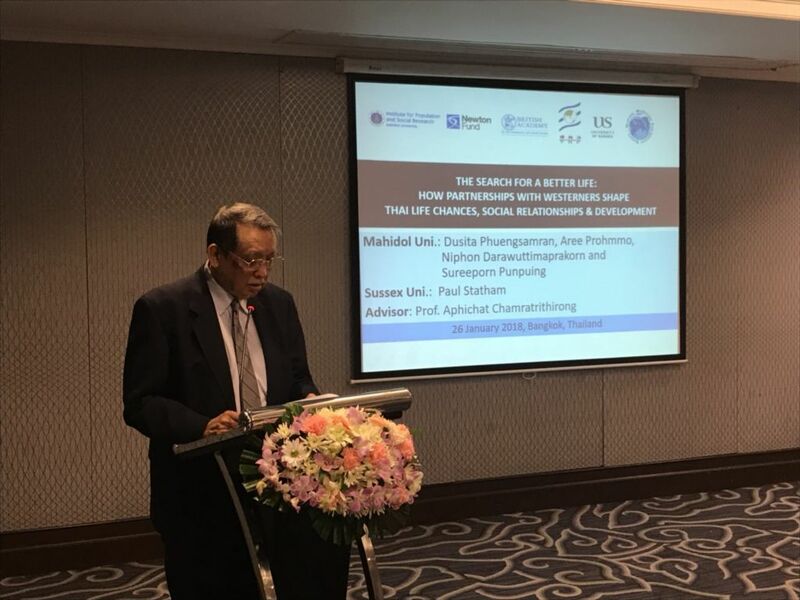 On January 26th, 2018, researchers of a collaborative research between Mahidol University, Thailand and University of Sussex, UK organised a meeting on “The Search for a Better Life: How Partnerships with “Older” Westerners Shape Thai Life Changes, Social Relationships and Development”. This research is supported by the Newton Advanced Fellowship, and the Thailand Research Fund. Professor Aphichat Chamratrithirong, Director of the Mahidol Migration Center, Institute for Population and Social Research gave an opening remark followed by Associate Professor Sureeporn Punpuing who presented the background of the project and its research questions and objectives. 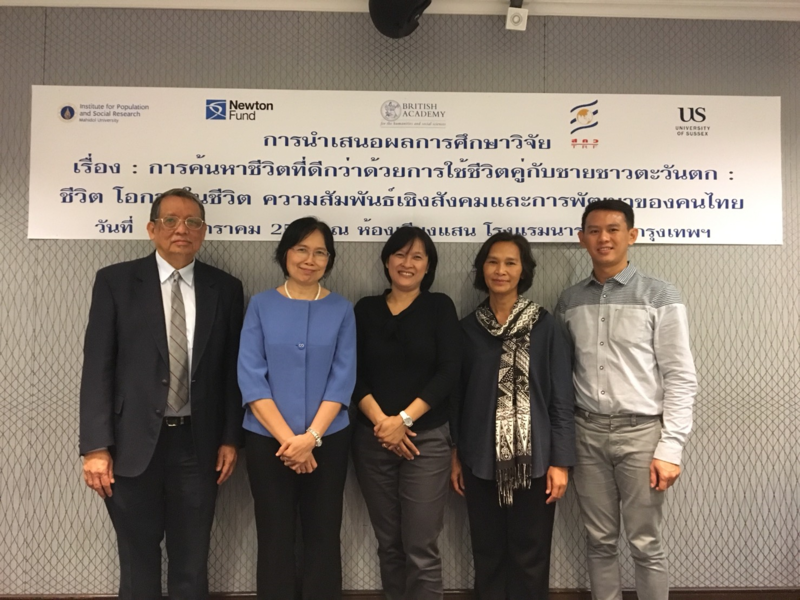 Dr Dusita Phuengsamran, the Principle Investigator, Assistant Professor Aree Prohmmo and Mr Niphon Darawuttimaprakorn presented the project’s preliminary results. Associate Professor Dusadee Ayuwat and Assistant Professor Sirijit Sunanta acted as external reviewers. The presentation was attended by 30 delegates which included academics, policy makers, practioners and NGOs. The meeting took place at the Narai Hotel, Silom, Bangkok, Thailand.